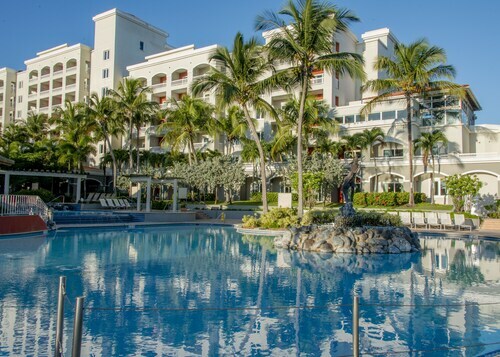 Expedia's Manati vacation packages will help you save! Combining your reservations will give you more cash to splurge for your upcoming trip. Would you like to save up to 40,450 YEN*? Purchase your family's travel package on Expedia now! We have more than 400 partner airlines and 321,000 worldwide properties to pick from around the globe, which means your dream vacation is right at your fingertips! Itinerary need a little work? Manati vacation all arranged but unsure what you're going to do when you arrive there? Let us make it easy for you. If you and your travel pals are looking for a place to catch up and regroup, Puerto Rico Premium Outlets is a great option. Chat over coffee and a snack and browse the stores for that perfect souvenir. There's a fabulous range of things to keep you busy close by. Let your inner explorer run wild at Cave of the Indian. Just make sure you take your flashlight! Still got some time to spare? It has been said that knowledge is power. With that in mind, you're sure to feel a little more powerful when it's time to leave Coffee Museum. Locating a great place to stay is often crucial to the perfect luxury getaway or cheap vacation. With just 3 properties in Manati, it's advised that you book as soon as you know your dates. The nicest island-based properties include the Hyatt Place Manati (122 Carretera PR-2) and the Caribbean Inn Hotels (Urb. Ext. O'neill Calle 3 FF 128). Nobody loves standing around at the airport. But it's worth it when you remember the incredible destination that awaits! Positioned 30 miles (48 km) east of Manati, Luis Munoz Marin International Airport (SJU) is the nearest terminal. Situated in Manati, this hotel is 4.8 mi (7.7 km) from Puerto Rico Premium Outlets and 10.8 mi (17.4 km) from Cano Tiburones Nature Reserve. Dorado Beach and Cave of the Indian are also within 20 mi (32 km). 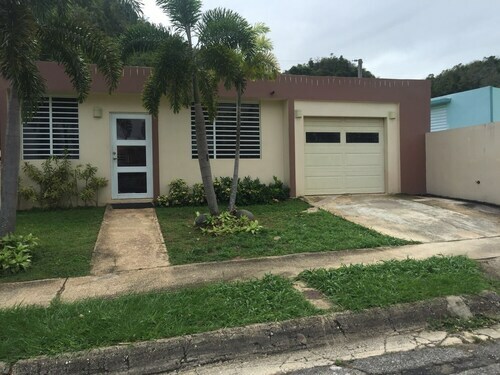 Situated in Manati, this apartment building is 5 mi (8 km) from Puerto Rico Premium Outlets and 11 mi (17.7 km) from Cano Tiburones Nature Reserve. Dorado Beach and Cave of the Indian are also within 20 mi (32 km). Situated in Manati, this hotel is 3.9 mi (6.2 km) from Puerto Rico Premium Outlets and 9.9 mi (15.9 km) from Cano Tiburones Nature Reserve. 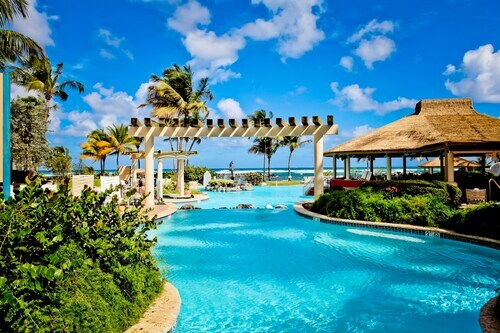 Dorado Beach and Cave of the Indian are also within 20 mi (32 km). Situated near the beach, this apartment building is 8.9 mi (14.4 km) from Puerto Rico Premium Outlets and within 16 mi (25 km) of Parque Nacional Balenario Cerro Gordo and Cano Tiburones Nature Reserve. Dorado Beach and Dorado Del Mar are also within 20 mi (32 km). Located in Dorado, this beachfront hotel is in the entertainment district, 1.8 mi (2.9 km) from Balneario Manuel Morales, and 2.7 mi (4.4 km) from Reserva Natural Playa Grande - El Paraiso. Dorado Beach and Dorado Del Mar are also within 6 mi (10 km). Located in the resort community of Dorado on the lush north coast, this hotel has direct access to a private sandy beach with calm waters.